With gardens becoming smaller, making use of every surface makes sense and can look striking. Many types of plants will tolerate the high life in a green wall, from herbs and fruit to grasses and ferns. Whether in sun or shade, covering walls with plants can enhance the smallest of spaces. Pyracantha can be used to create a green wall simply by planting one against it and training the stems on wires. At their most simple, green walls can just be a planting of wall shrubs and climbers (direct greening). It’s a claddings made from plants such as pyracantha or ceanothus can provide many of the benefits offered by more complex systems. At the other extreme are engineered, planting systems (indirect greening and living wall systems). These often consist of modules fixed against a wall that contain soil or media for the plants to grow in. These often require irrigation systems and may need professional installation and maintenance. Direct greening is a system where a self-attaching climber utilises the substrate of the façade for support and, sometimes, nutrition. Indirect greening includes some form of engineered solution, from trellises to wires for the climbers to use; thus providing a gap of insulating air between the building and the plant. Living wall systems (LWS), finally, are constructed with planter boxes or felt; these do not require the plants to be climbing, they often need to be irrigated and plants for intensive green roofs are frequently suitable for these systems. This comes from Perini, K., Ottelé, M., Haas, E. M. & Raiteri, R. (2011). Greening the building envelope, façade greening and living wall systems. Open Journal of Ecology, 01, 1-8. Decide how you wish to plant your green wall. There are various systems available, according to the size of your wall and budget. Indirect greening: Large scale installations of wire, trellis or supports, such as covering the side of a house. It is the scale that makes this more expensive and for professional installation. 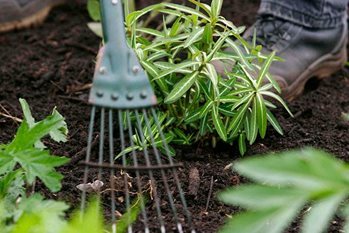 Spring is the best time to plant because plants are coming into active growth and will establish quickly. Planting Green Roofs and Living Walls by N Dunnett & N Kingsbury (Timber Press, 2004 ISBN-9780881929119). This book is made available through the RHS Lindley Library. Alpine strawberries, chard, chives, land cress, lambs lettuce, lettuce, parsley, rocket and strawberry ‘Mara des Bois’. Strawberries: seed-raised everbearers (sometimes known as perpetual strawberries), such as ‘Aromel’, ‘Albion’ and ‘Mara des Bois’, oregano/marjoram, thyme and shade tolerant fruit and vegetables with adequate irrigation. Begonia ‘Million Kisses Series’, Bidens ferulifolia, busy lizzie, ivy-leaved pelargoniums, petunias and verbena. The following plants will thrive in sun too, as long as there is a good supply of water. Ajuga reptens, often hardy Begonia evansiana, Bergenia, Carex oshimensis ‘Evergold’, Cornus canadensis, Epimedium, ferns, Fuchsia magellanica AGM, Heuchera ‘Key Lime Pie’, Heucherella, hostas, Lamium, Liriope, Lysimachia nummularia ‘Aurea’ AGM (creeping Jenny), Pachysandra terminalis and Tiarella. Erigeron karvinskianus AGM, Euphorbia, Festuca glauca, Helianthemum and sedums. The following places exhibit engineered planting systems. However, most gardens open to the public display wall shrubs and climbers that can also be used.